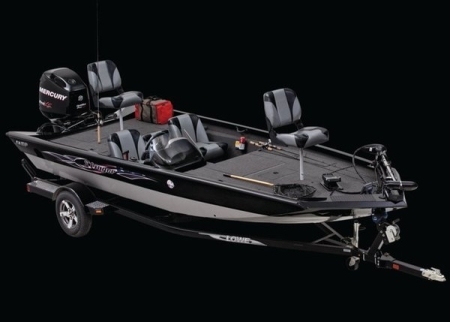 Lowe has come out with a new boat this year called the Lowe Stinger HP Special Edition. I think I have finally found the boat I have been looking for. This boat has everything I want and need. It has an 85″ wide bow deck, it has a 7′ lockable rod locker, and it has a pad-v hull for better performance. I am very happy about this. The graphics on this boat are a nice touch. I shamelessly grabbed these two photos from here. Now to convice the wife that we need this boat. If anyone from Lowe boats reads this, please contact the owner of TinBoats.net (me) so I can take this new boat out for a thorough test and report back to the members and readers how awesome this new boat is. Read more about the new LOWE here.